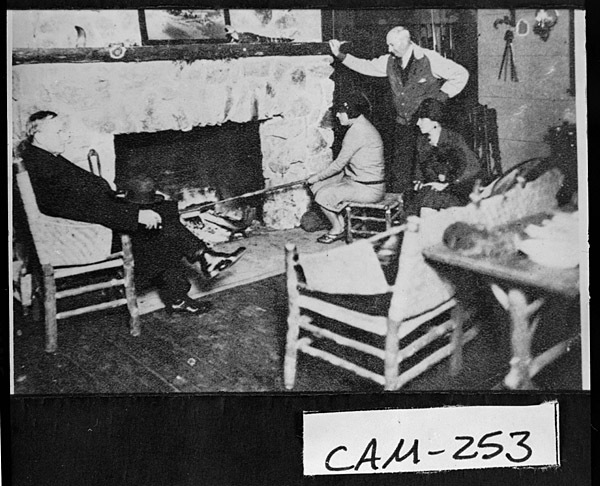 The Coolidges and the Coffins sit by the fireplace at Cabin Bluff, December 1928. Courtesy of the Georgia Archives. 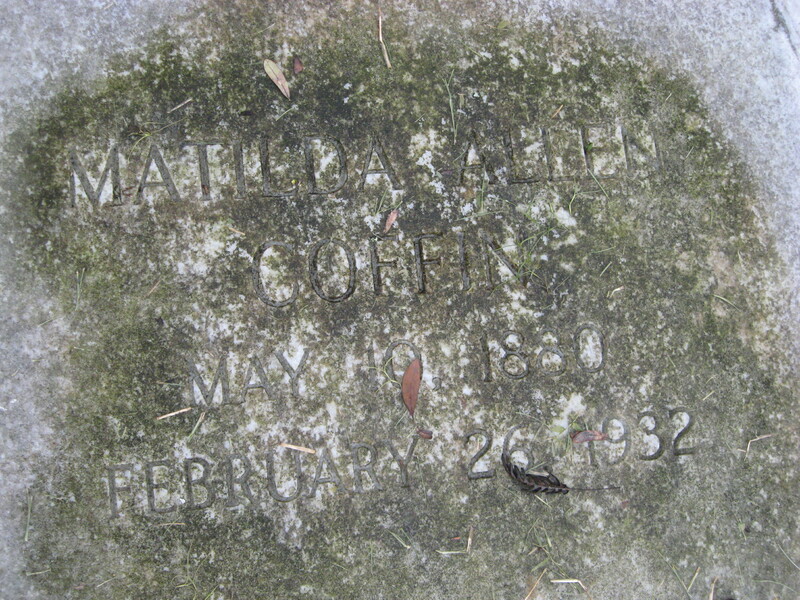 Following Christmas Day, 1928, the Coolidges boarded a train out of Union Station in Washington headed for coastal Georgia, where they would bring in the new year as the guests of the entrepreneurial auto Howard and Matilda Coffin on Sapelo Island. 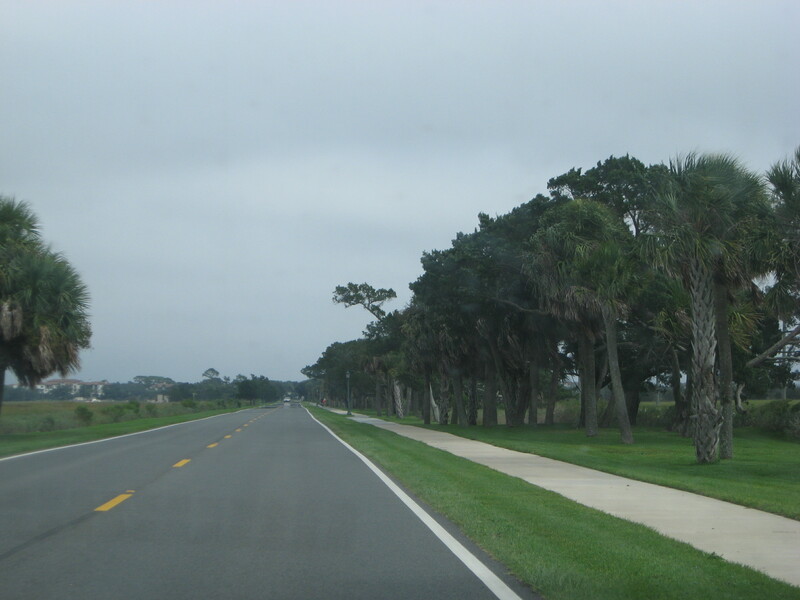 Arriving at the depot in Brunswick, the Coolidges would meet their hosts at the Sea Island Yacht Club. 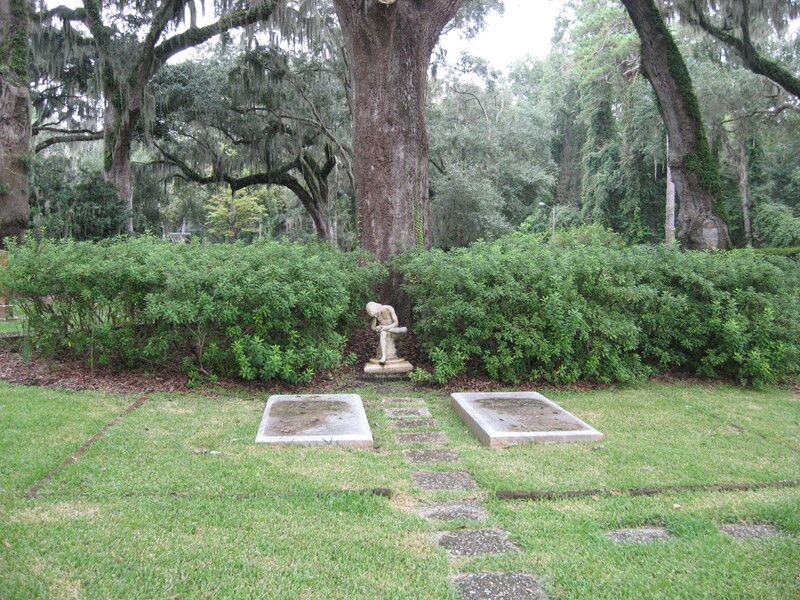 They would dedicate the still-standing “Constitution Oak” at The Cloister, enjoy an oyster roast and singing at Cabin Bluff, view the tabby Sugar House ruins, hunt deer and fowl on Sapelo Island, watch a rodeo and turtle race on the island’s beach, each sit for portraits by their fellow traveler and English painter, Frank O. Salisbury, travel by water aboard the Zapala to see the monument marking the Battle of Bloody Marsh and finally, attend services at Christ Church, where the renowned Wesley brothers and George Whitfield preached the first sermons heard here, a site in continuous use for worship since the time of Ogelthorpe in 1736. 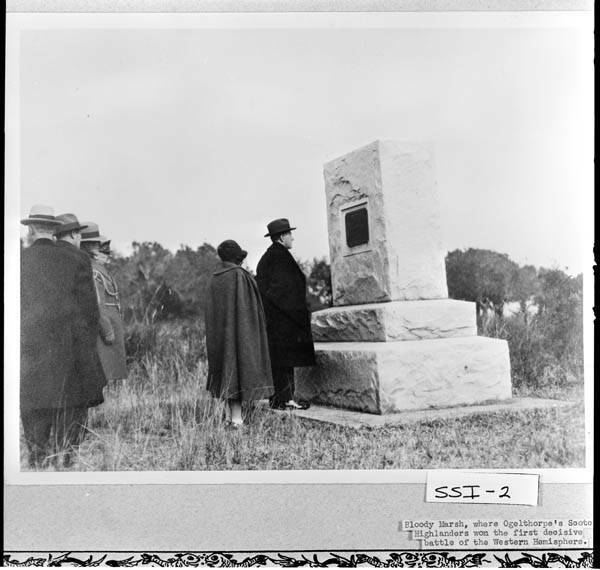 The Coolidges viewing the Monument at Bloody Marsh, Sea Island, overlooking the salt marshes where the battle was fought in 1742. 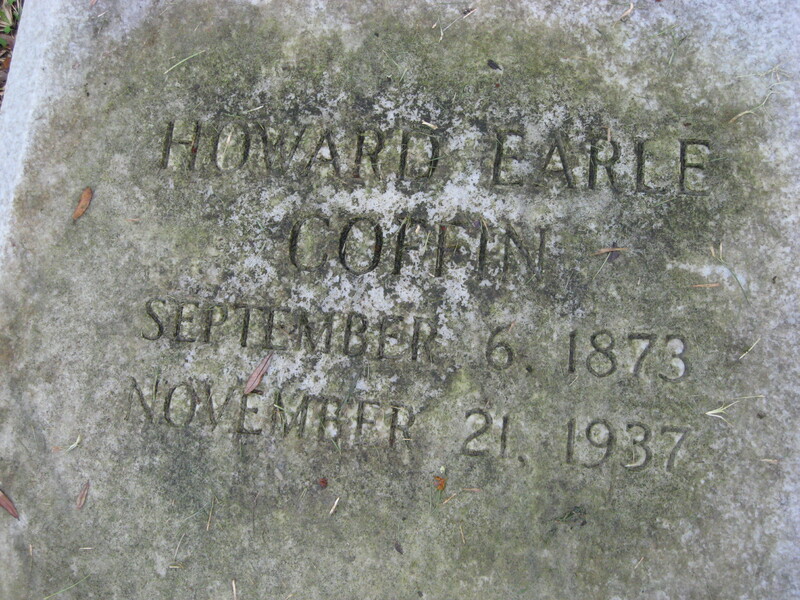 Courtesy of the Georgia Archives. 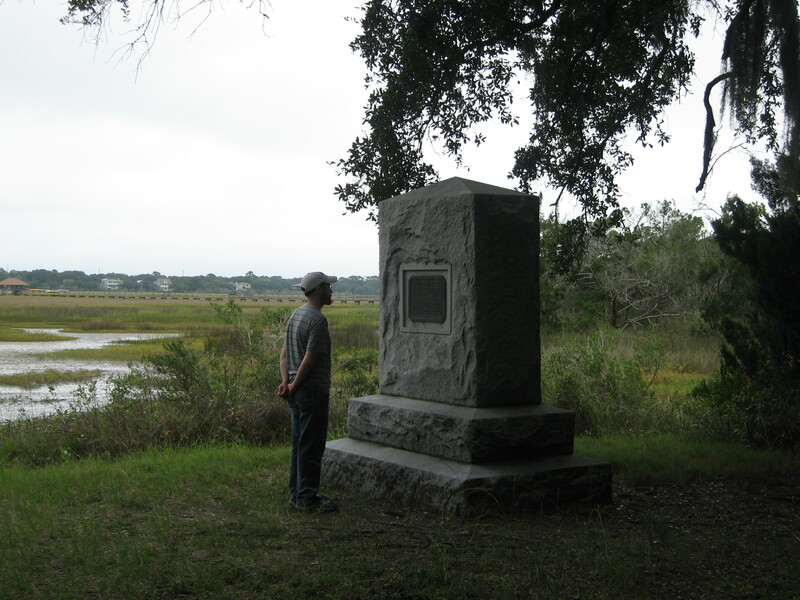 Visiting the monument at Bloody Marsh this past fall, Sea Island, Georgia. Notice how much the topography has changed. 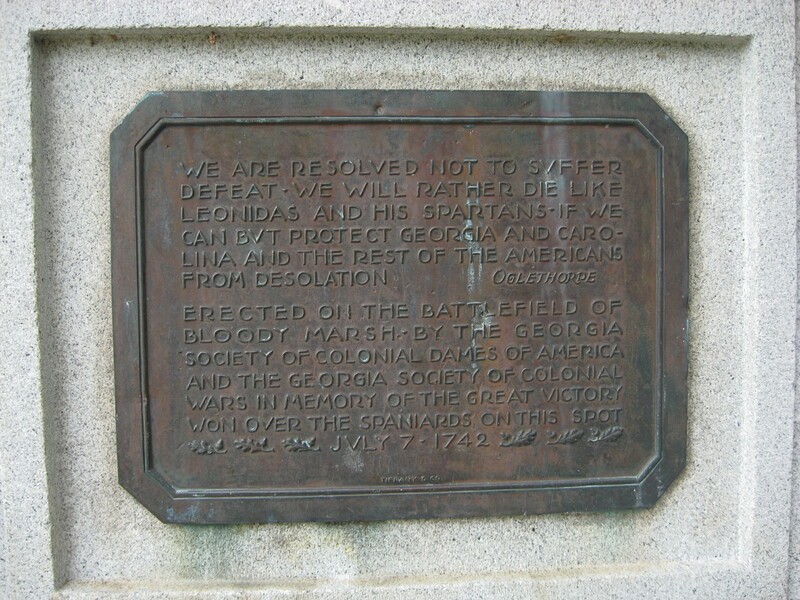 Here is the inscription on the marker at Bloody Marsh. 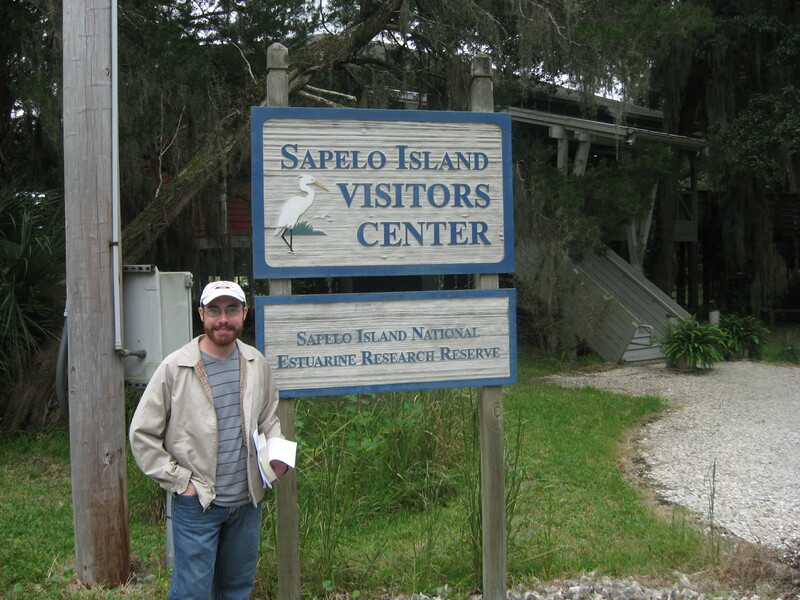 Preparing to do some Coolidge reconnaissance on the coastal side opposite Sapelo Island. 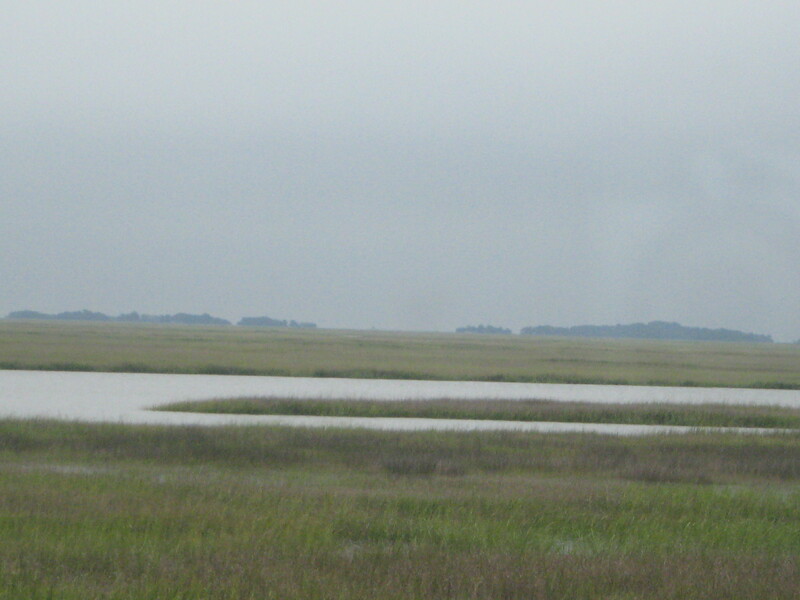 Peering into the distance for Sapelo Island, where Coolidge stayed with the Coffins at what is now known as the Reynolds Mansion. 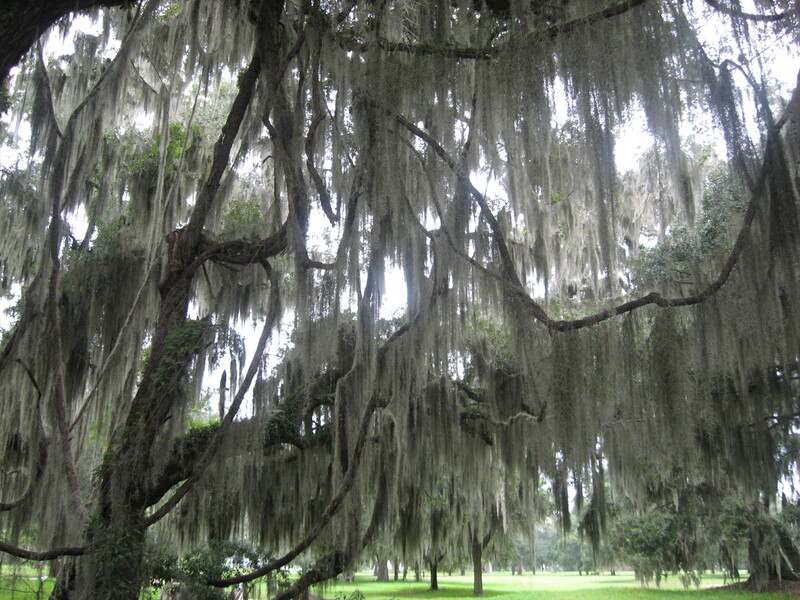 Admiring the oaks at Fort Frederica, where the British repelled Spanish attack in 1742. 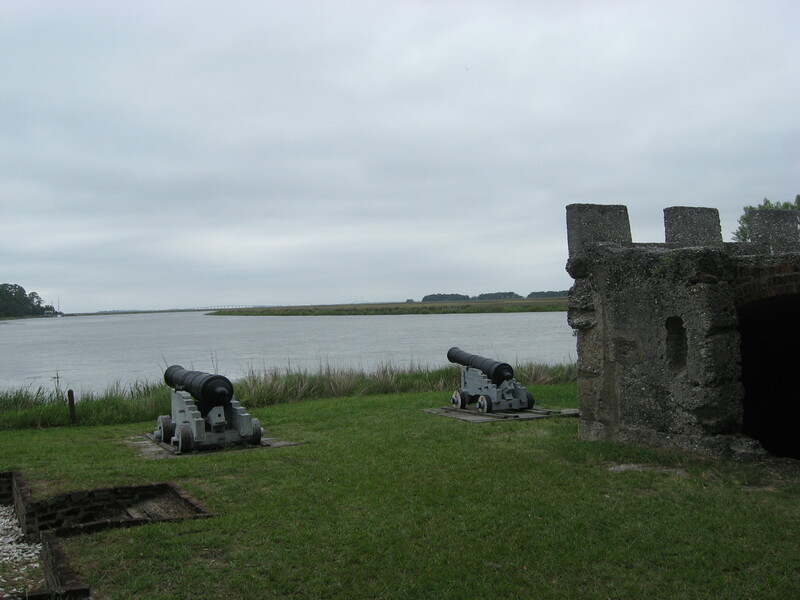 The forward walls are all that remain of the fort today. 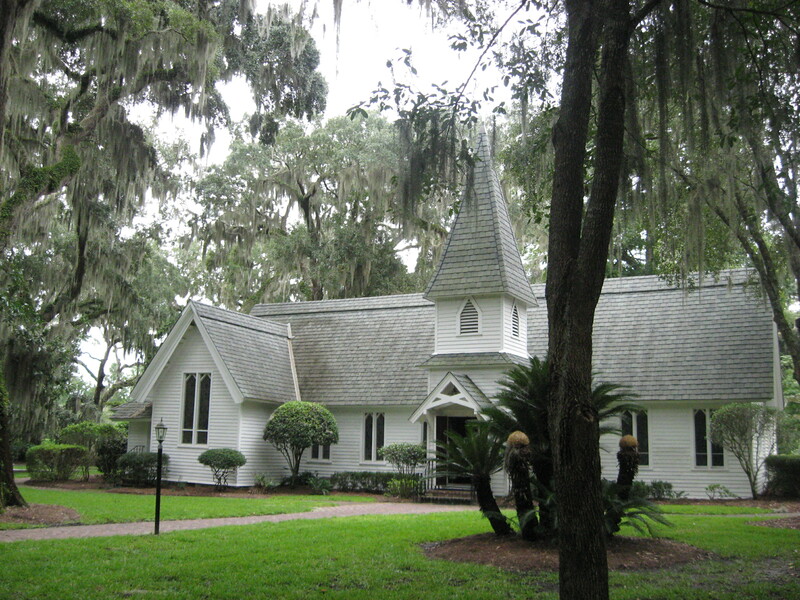 Christ Church, Sea Island, where the Coolidges attended worship and where the Coffins are laid to rest. 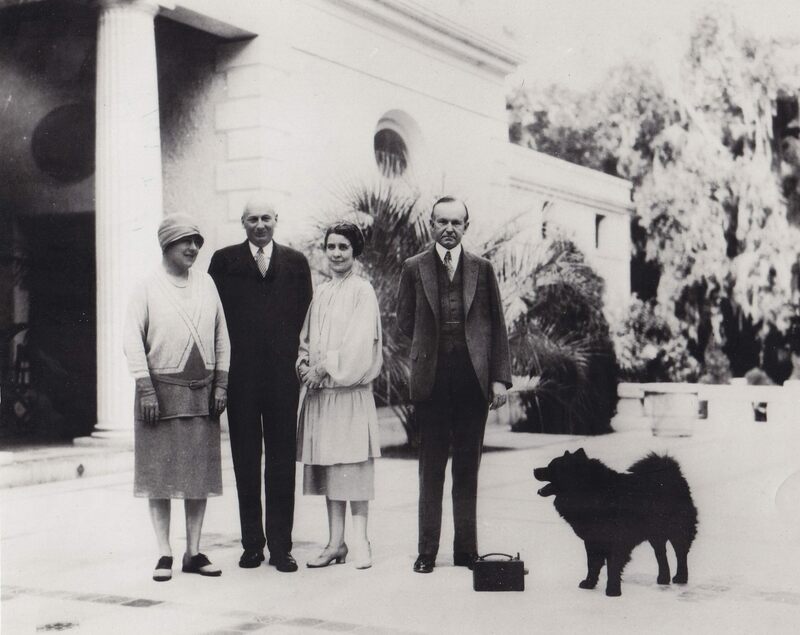 Matilda and Howard Coffin with Grace and Calvin Coolidge at their home on Sapelo Island. Grace’s film camera and Tiny Tim also pose beside the President. 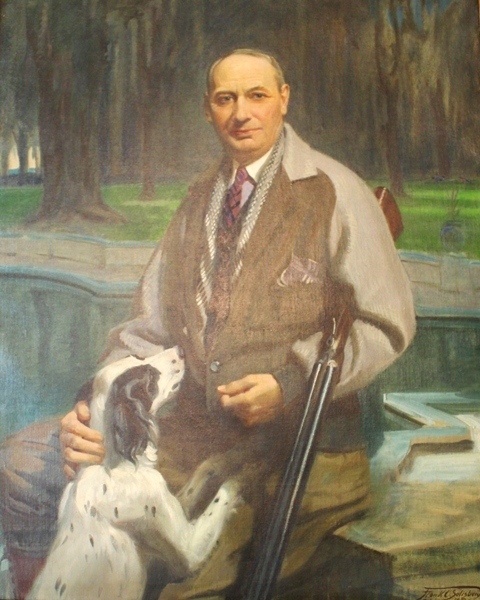 Howard E. Coffin, auto industry pioneer and instrumental developer of the Golden Isles economy along coastal Georgia, Coffin was appointed by President Coolidge for his expertise on aviation to the Morrow Board to study and report recommendations on the improvement of air technology. 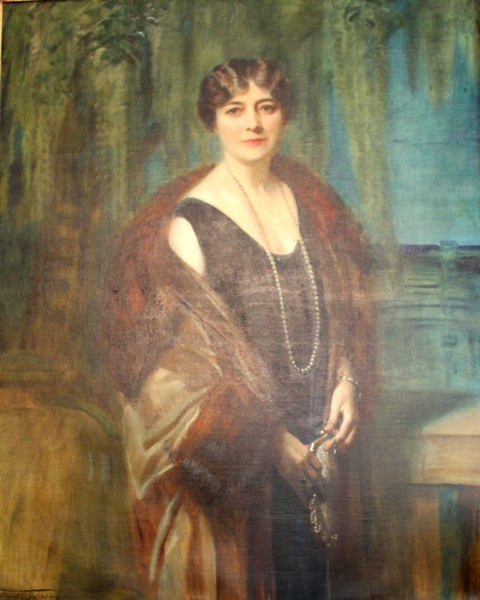 This portrait, painted by Frank O. Salisbury, was done at the request of Calvin Coolidge, who wanted to honor, if not repay, his kind hosts after so enjoyable a stay in Georgia. 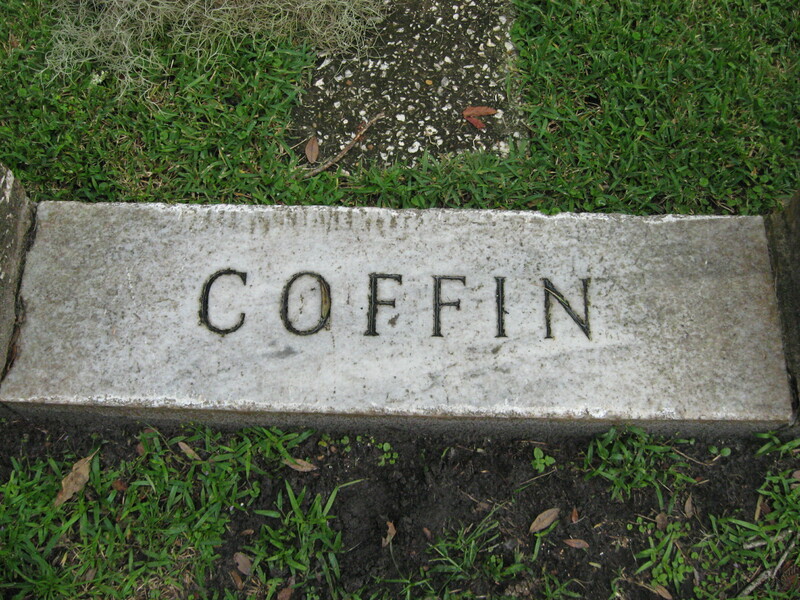 Matilda Coffin, wife of Howard. 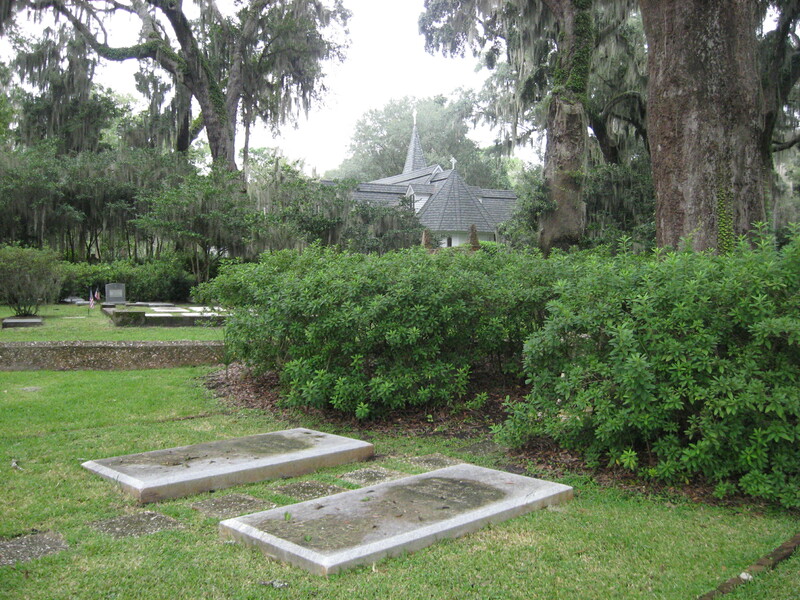 Like Salisbury’s companion portraits of the Coolidges, the Coffins were done with the setting of Sapelo Island in the background. 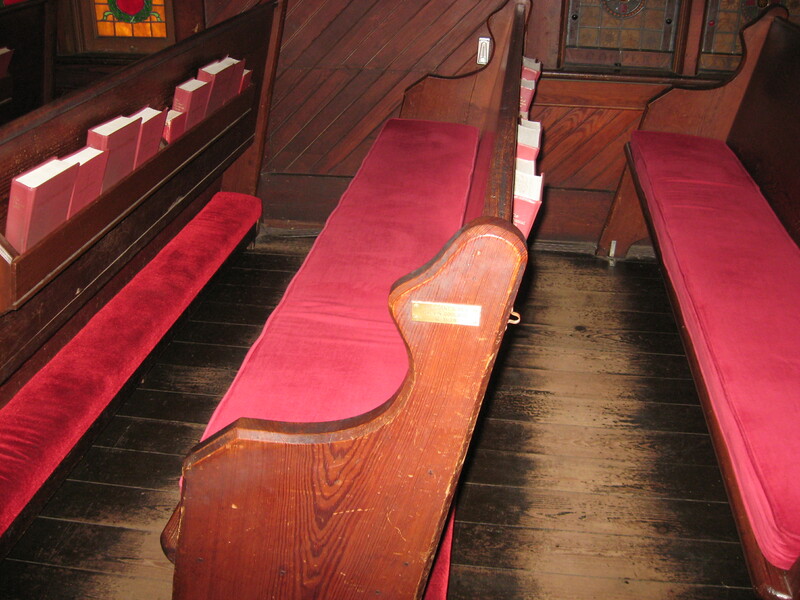 The Coolidge Pew, where the President and Mrs. Coolidge sat during the services. The plaque is mis-marked, dating the service on a Monday instead of Sunday, December 30. 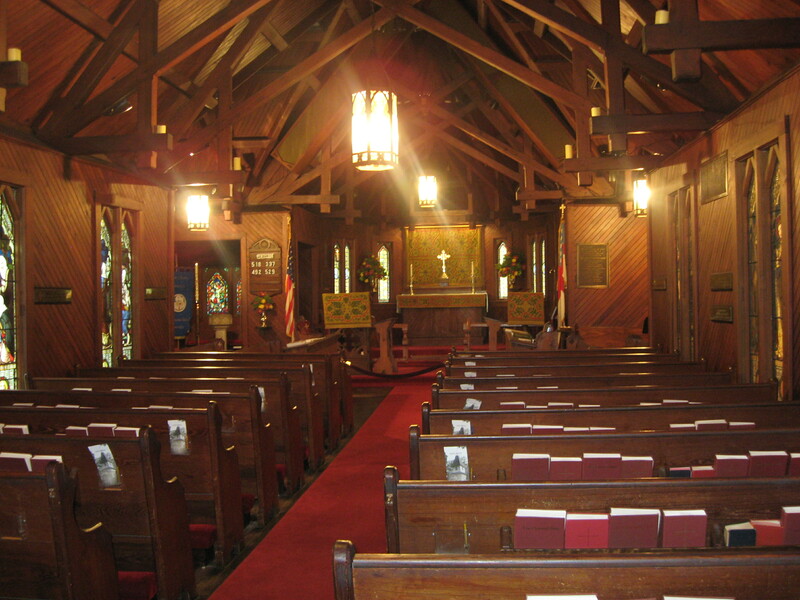 The view seen by the Coolidges as they stood to worship. 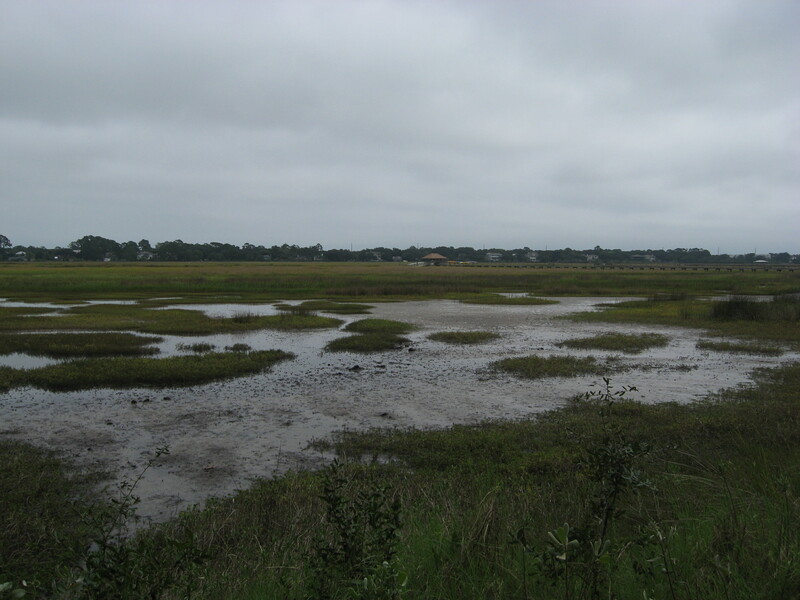 The salt marshes where Bloody Marsh was fought, as they look today. The road toward The Cloister, where Coolidge dedicated the “Constitution Oak.” Where will our travels in the steps of Coolidge go next? Where would you like us to go, readers? Visiting Georgia recently, we happened upon some of these steps left by the Coolidges when they were here during the Christmas of eighty-six years ago. 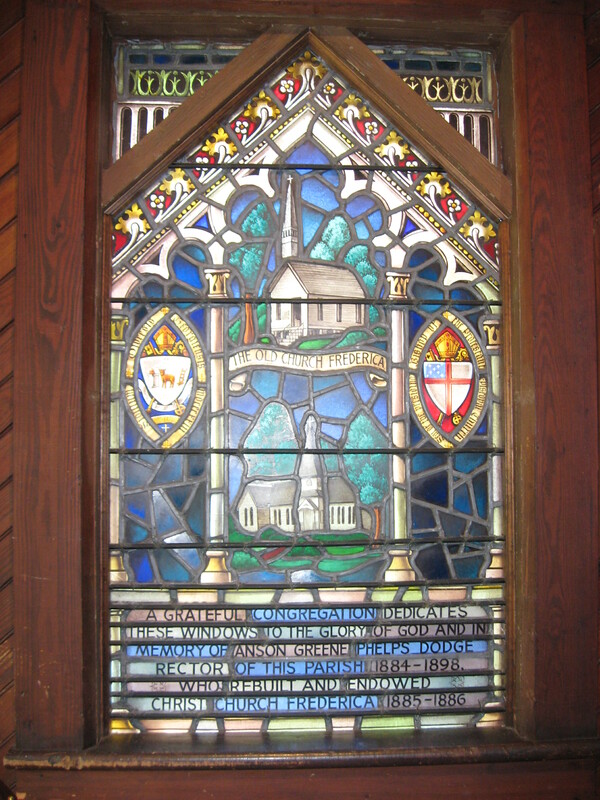 It is especially memorable to have followed in the steps of their last two stops, the historical significance of Bloody Marsh — which ended Spanish ambitions to absorb Georgia into the imperial fold — and the spiritual significance of Christ Church, where the Great Awakening, ushering in the American Restoration Movement and the move back to simple Biblical Christianity, found three of its earliest and most influential harbingers. It is revealing that with all remaining on his mind that Christmas season: the press of public affairs and unresolved political questions, the loss of his son and father, the health of his wife, and the uncertainties of what the next year would bring, Calvin Coolidge took the time to place essentials first, attending to the nourishment of the soul and the soundness of intangible things. “To cherish peace and goodwill, to be plenteous in mercy, is to have the real spirit of Christmas. 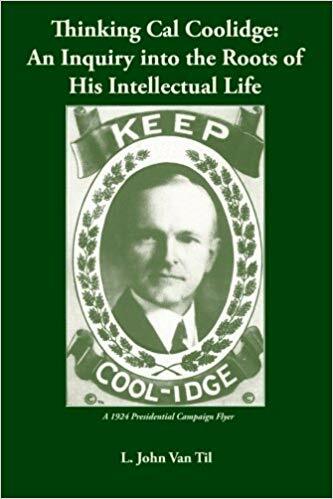 It was this thought from President Calvin Coolidge that would continue resonating powerfully for the next twenty years with a young playright from New York by the name of Valentine Davies. Mr. Davies would meet future collaborator George Seaton during the 1920s and together they would develop one of the finest Christmas screenplays ever written, The Miracle on Thirty-Fourth Street. 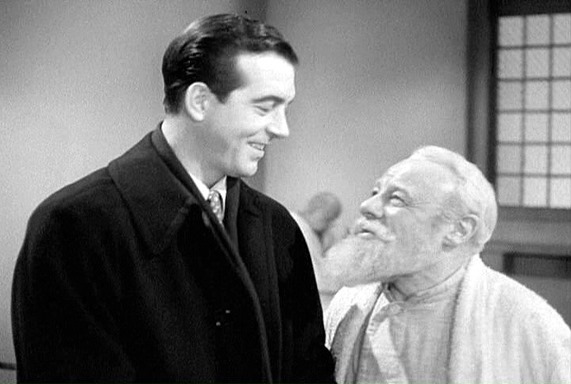 Coolidge’s impression on Mr. Davies is evident throughout what would become the 1947 film, but no where more apparent than in the dialogue of its two heroes, Kris Kringle played by superb British actor Edmund Gwenn and Mr. Gailey played by John Payne. It was a labor of love for all involved in the project and it remained Mr. Payne’s favorite movie because it genuinely reflected his spiritual convictions. Despite repeated attempts to remake it, all have fallen far short of the original. 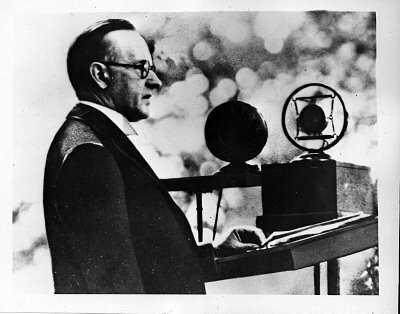 Davies, impacted by Coolidge, hit upon something that simply could not be redone or upon which improvement could be made. While the movie’s definition of faith leaves something to be desired, the film is excellent. This year make a point to see The Miracle on Thirty-Fourth Street, if you haven’t already — or see it again, if you have. Enjoy Cal’s distinct imprint on the film, reflecting on the state of mind that is Christmas. Have a Merry Christmas, dear readers and Coolidge friends! “I said Calvin Coolidge was the first president, I can imagine what they think of me for saying that…” — Edmund Gwenn as Kris to Mr. Gailey, played by John Payne. One can imagine Cal chuckling at that line. 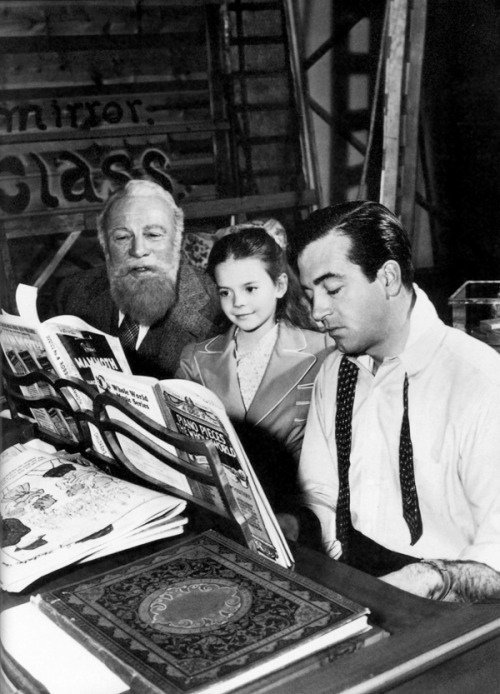 Gwenn, Natalie Wood and Payne behind the scenes of Miracle playing piano together. “Look Doris, someday you’re going to find that your way of facing this realistic world just doesn’t work. And when you do, don’t overlook those lovely intangibles. 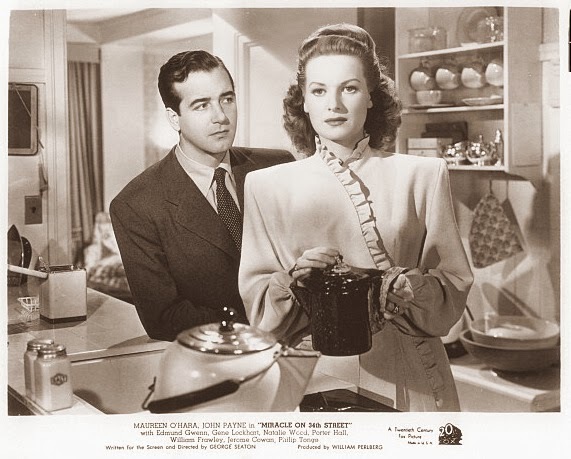 You’ll discover those are the only things that are worthwhile…” John Payne’s Mr. Gailey to Maureen O’Hara’s Doris Walker.